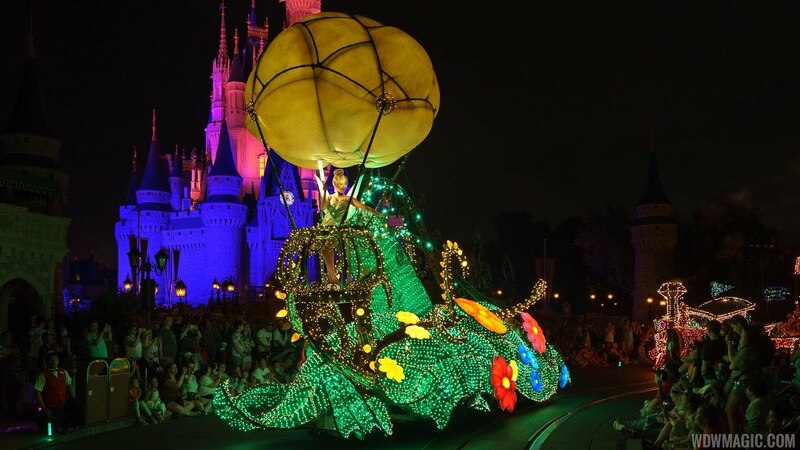 You can now view the Magic Kingdom's evening parade from a reserved viewing location along with lunch at the Magic Kingdom's Italian Restaurant. Why on earth are there two a day? One is more than enough. Once stuck somewhere, you are there for a good hour will this thing drags on and on. Which it would be really nice of them to start the parade when they say that they are starting it in the guide. Lo and behold, 30 minutes prior; the streets are closed and here comes high school marching bands. And forget about leaving the park when it's happening unless you are on the side of the park with the other exit. The parade music is nerve wracking as well. This parade is a must-see. Great, bouncy music, colorful, bright lights and all those floats from classic Disney films. It only comes to MK once in a while, so be sure to see it if it's in town! this was one of the 'surprises' for my family and i on our trip to mk this summer. we noticed the great number of people lining up to see the parade and we were kinda tired so we decided to sit and see what it was all about. i saw the christmas parade in DL this past nov, but i was blown away by the electric parade. the colors and floats are dazzling. it made the parade cool for me again. i can't wait to see it again! I cant stand it, the units are great dont get me wrong but the music has to go. I prefer Spectromagic by far. 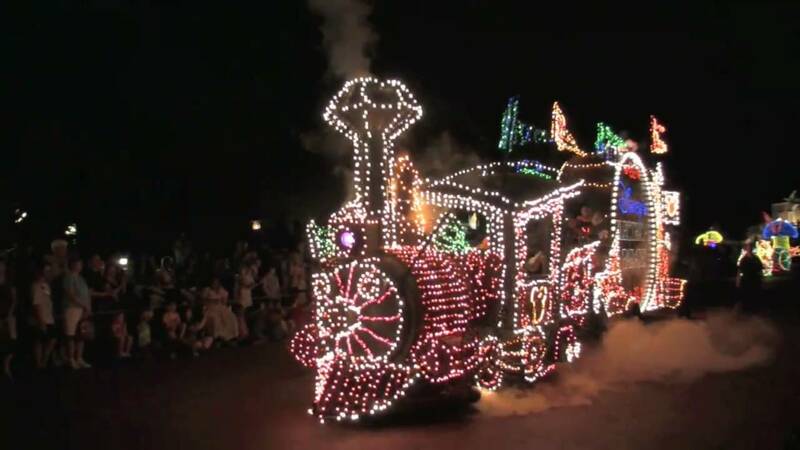 As part of the new 2010 summer entertainment offering 'Summer Nightastic', the Main Street Electrical Parade will return to the Magic Kingdom from Disneyland. The Main Street Electrical Parade will feature all new LED lightings, new audio technology, and 3 new floats for Tinker Bell, Snow White and Pinocchio. Tinker Bell will lead the parade waving from the basket of a magical balloon aboard one of the new floats. The parade is set to return in early June 2010.